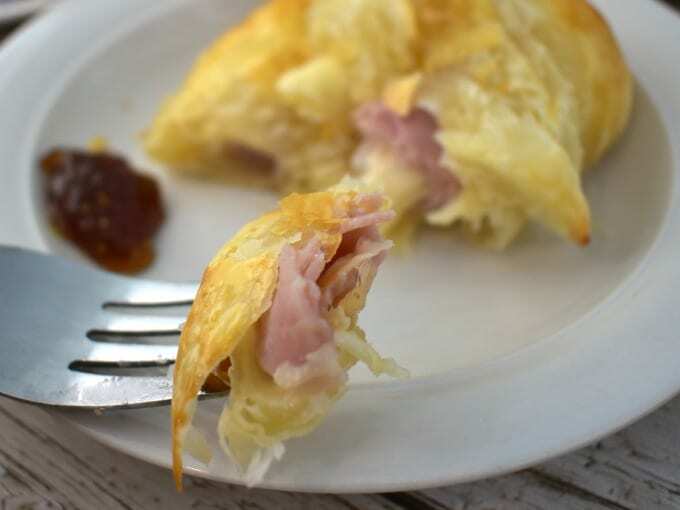 Scrumptious Ham and Cheese Croissants are not only amazing for brunch but also a fabulous for a make ahead breakfast. This ham and cheese croissant recipe is one you’ll want to save! Our ham and cheese croissants are so yummy, you can’t eat just one. 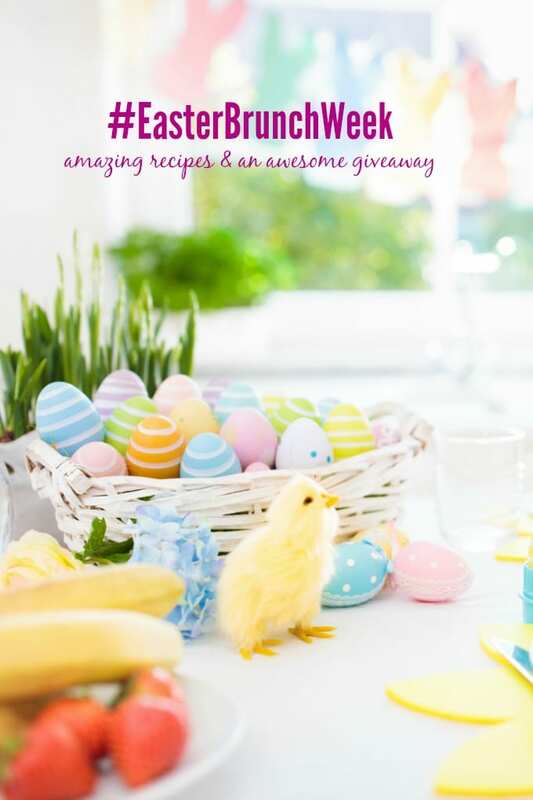 If you’ve been following along with #EasterBrunchWeek than you probably have already seen my Yogurt Cake and Tater Tot Breakfast Casserole. 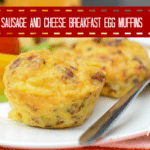 Trust me when I say this is a seriously delicious recipe! 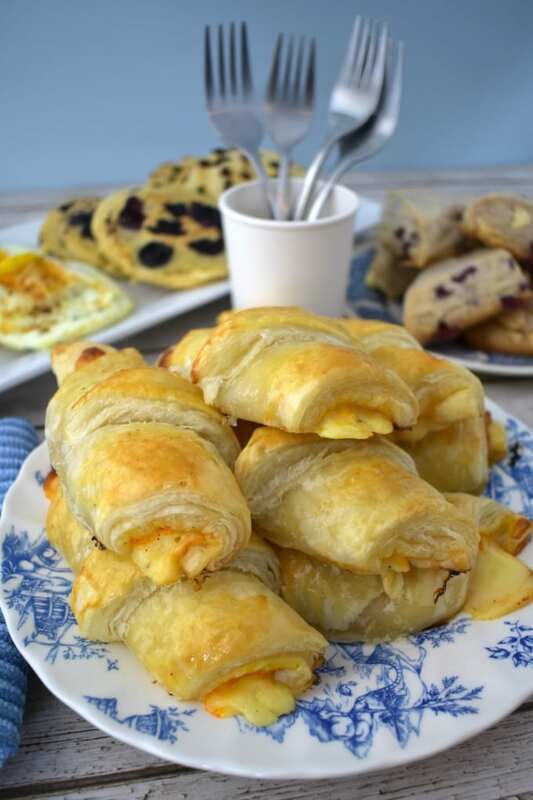 Now, these ham and cheese croissants make an excellent addition to brunch. These pair amazing with a smear of fig jam, which helps cut the richness of the buttery pastry and gooey cheese. 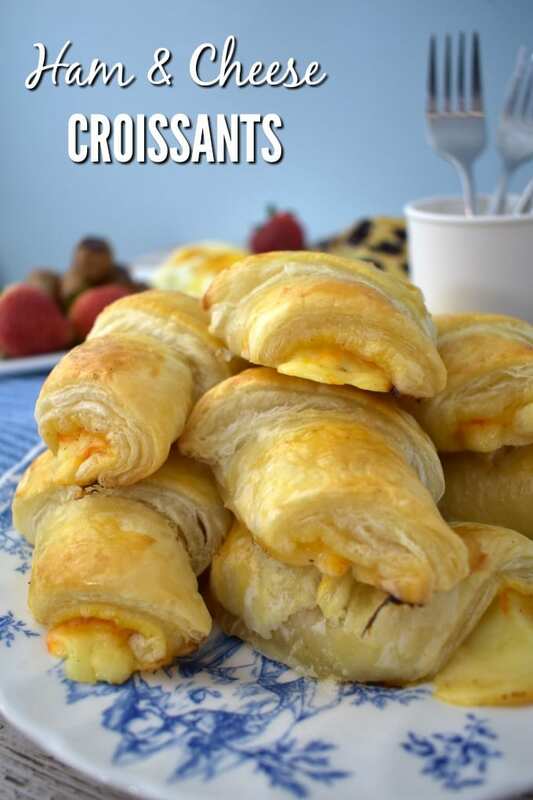 Everyone will love these tasty ham and cheese croissants. 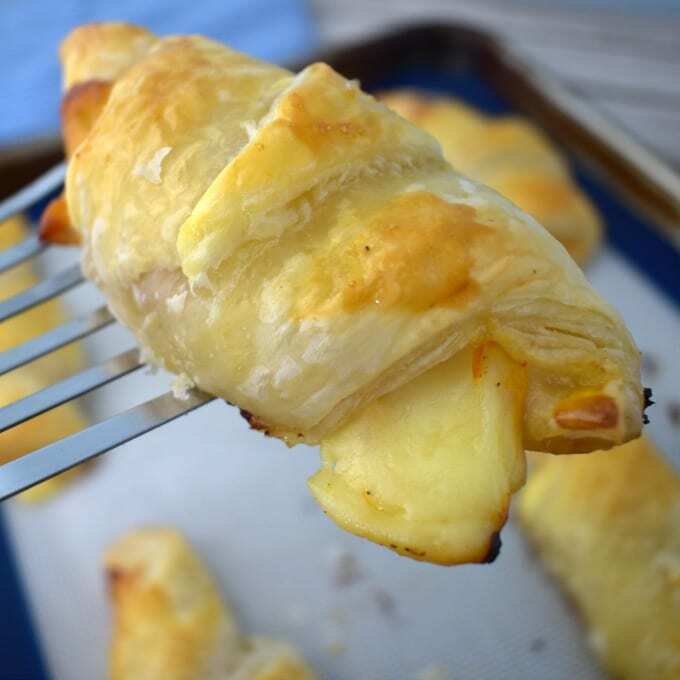 I’m in love these ham and cheese croissants because they’re just so very easy to make. 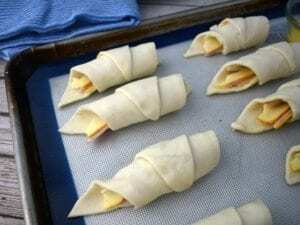 What’s better than tender ham and creamy munster cheese wrapped Wewalka Pastry Dough and baked until golden all over? 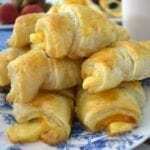 I adore using Wewalka Puff Pastry dough for all kinds of danishes, strudels, turnovers and more. 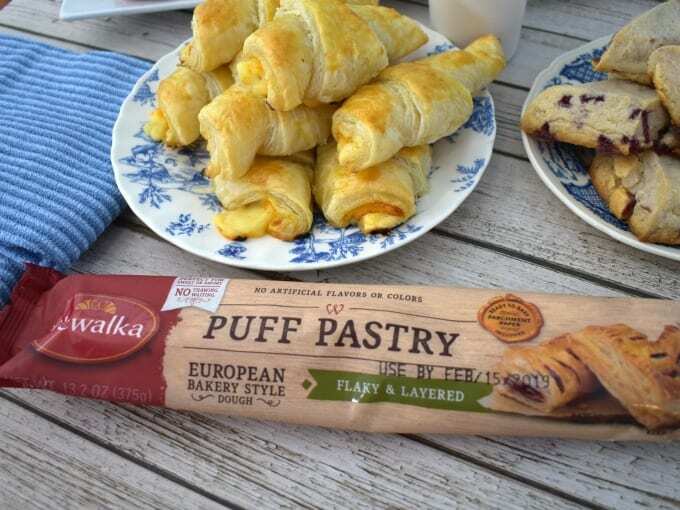 Wewalka makes Europeans style pastry dough including pie crust, flatbread, classic pizza and of course puff pastry. 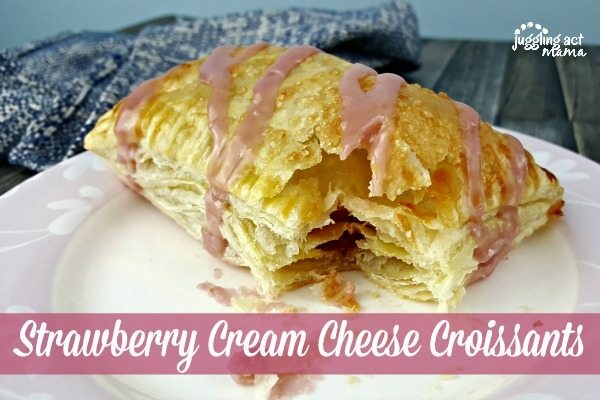 One of my favorite ways to use it is by making Strawberry Cream Cheese Croissants, which are divine! 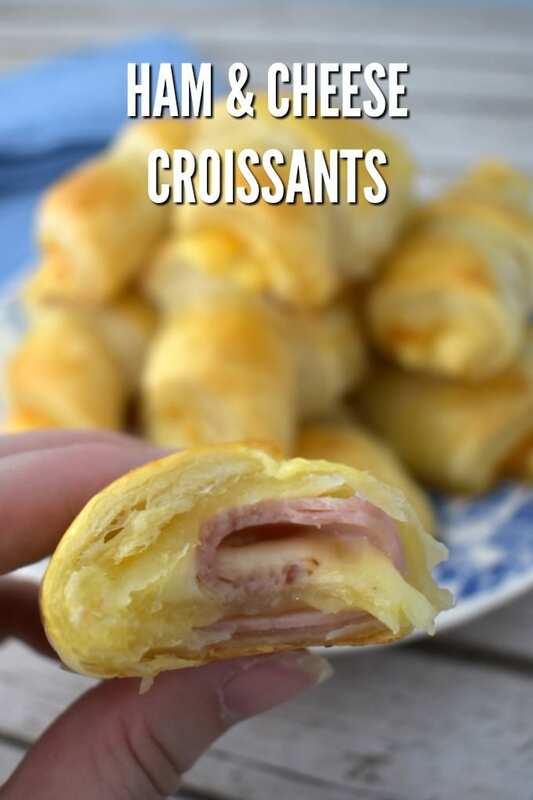 Now to make these ham and cheese croissants, you can use any ham you like. I prefer honey ham but have also make these with smoked ham. These are super versatile so you can also swap out the cheese for whatever creamy cheese you love. Swiss and gouda would taste amazing! 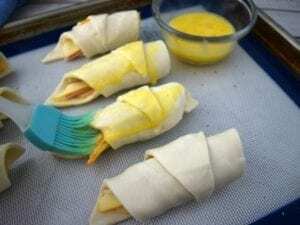 Start by preheating the oven to 400-degrees F.
To prepare the ham and cheese croissants, first roll out the Wewalka puff pastry dough on a cutting board. 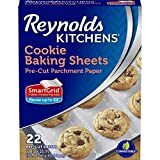 Use a bench scraper to cut the dough into four rectangles. Next, cut each rectangle into a eight triangles. 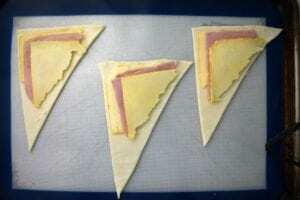 Cut the cheese slices in half diagonally to form triangles. Add a triangle slice of munster cheese to each piece of dough. Then, cut the ham slices into triangles also. Add two slices of slice of ham on top of the cheese. Place a second piece of cheese on top of the ham, and then season with salt and pepper to taste. Starting from the widest part of the triangle, roll the dough up. Place each ham and cheese croissant onto the sheet pan. 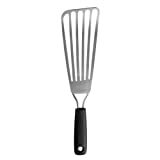 Add a tablespoon of water to 1 egg and whisk for an egg wash. Finally, brush the croissants with the egg wash using a pastry brush. Serve hot with fig jam. For a simple brunch, serve these tender ham and cheese croissants alongside our Honey Lime Fruit Salad, Blueberry Banana Breakfast Cookies, and a quick salad with Lemon Vinaigrette. Ham and cheese croissants have just a few simple ingredients, and they’re easy to prepare the night before. 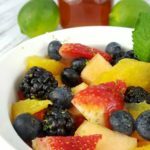 If you love this recipe, I’d love for you to give it 5 stars! 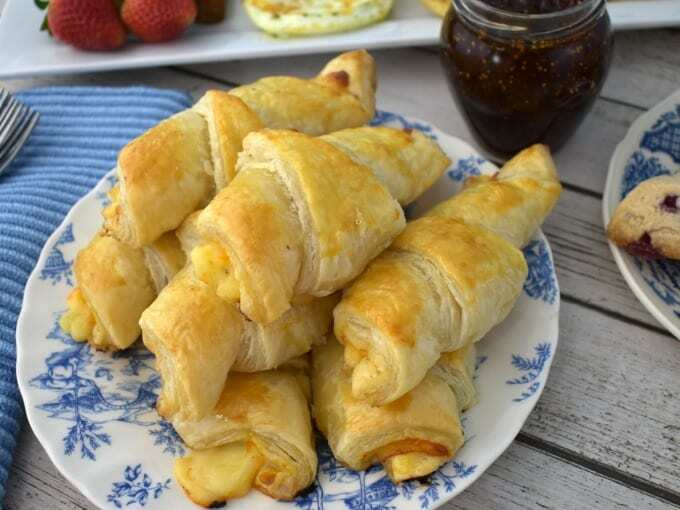 These delicious ham and cheese croissants are great as an on-the-go breakfast or as part of a brunch spread. Start by preheating the oven to 350-degrees F.
Then, cut the ham slices into triangles also.Add two slices of slice of ham on top of the cheese. Blueberry Cheesecake Tarts – Who Needs a Cape? 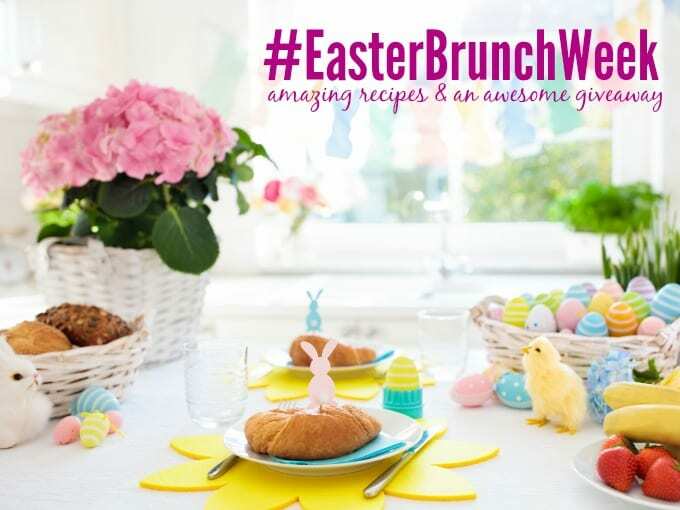 You’re going to love all the amazing brunch recipes we are sharing this week! My kids will love to come home to these after school! I’ll have to make a double batch since they are hungry teenagers! I love that you used Muenster cheese, I feel it doesn’t find its way into recipe enough. Can’t wait to make these for my family. Amazing, my family would LOVE these! Thanks for the recipe! 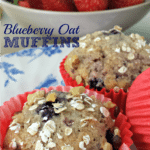 They are SO yummy and super easy! Great afternoon snack, too! 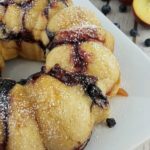 We just made these with Wewalka pastry dough, and loved them. I’ll have to try it with Muester cheese next time. 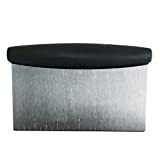 These are great for so many occasions. They’d be great for a nice light dinner too! Croissants filled with melty cheese sound like actual HEAVEN! I need these in my life!! My kiddos would eat an entire plate of these. I can’t wait to make them because I know it will be a well loved dinner. I make overnight french toast. I always adore easy make ahead dishes! I love making my walnut coffee cake, lemon loaf cake and Easter egg bread for Easter brunch. Along with delicious sweets, I always make my french toast and fresh waffles and eggs! The usually. Cinnamon buns for breakfasy, spiral ham. Deviled eggs, mashed potatoes and other goodies for late lunch early dinner. So honestly I’m not making anything home -made. (Is that cheating) Between working all weekend, church, easter egg hunt – we are all going out for lunch. BUT – I have all week off with my little boys. We love to cook together. Chocolate croissants are on our list to do this week. Mmmmm! I am usually in charge of the ham for Easter supper. I make an easy breakfast, like quiche. We are going non traditional this… We will be having how’d ribs,beans and cornbread. Happy Easter! I always make ham, cheese, and spinach quiche. I also make grandmother’s lemon bars. Thanks for the fabulous giveaway! We are having ham, scalloped potatoes, asparagus and lots of chocolate! I am bound by my family with fixing the traditional favorites passed down from my grandmothers and mother…..spiral glazed ham, mashed potatoes and ham gravy, homemade noodles, homemade rolls, corn casserole, green bean casserole, pineapple casserole, peanut salad, watergate salad, deviled eggs, and an array of desserts. Baked Ham with Brown Sugar Mustard Glaze. I live in the Southwest, so we always have homemade tamales along with the ham and side dishes. Delish! Sounds like a great meal, Sue. M.y husband uses the grill to do all his cooking. This Easter he is training the granddaughter how to grill her favorite chicken and steak. Of course anything with chocolate for dessert. That is SO awesome! Thank you so much for sharing Maureen! I like to make lamb, deviled eggs, mashed potatoes, rolls, english peas, and coconut cake! Happy Easter! We tend to make ham-centric omelets. Very southern, very traditional and takes days, like all our holidays. Easter is ham, chicken and dumplings and ALL the sides and desserts. All from scratch and all delicious. I usually fix a honey ham with cream cheese mash potatoes, ambrosia salad, and sugared carrots. We usually bring the dessert or treats to easter dinner with the family, one thing we always make is decorated cookies with the kids. We don’t change too much up from our regular meals, picky eaters… I do have them all convinced that they love deviled eggs!